Professional event lighting helps make photos of parties and celebrations come alive, and one of my favorite Los Angeles lighting companies is the incredible Images by Lighting. Their professionalism and large-scale event work is without peer, and my team and I always enjoy working with their beautiful lighting designs. 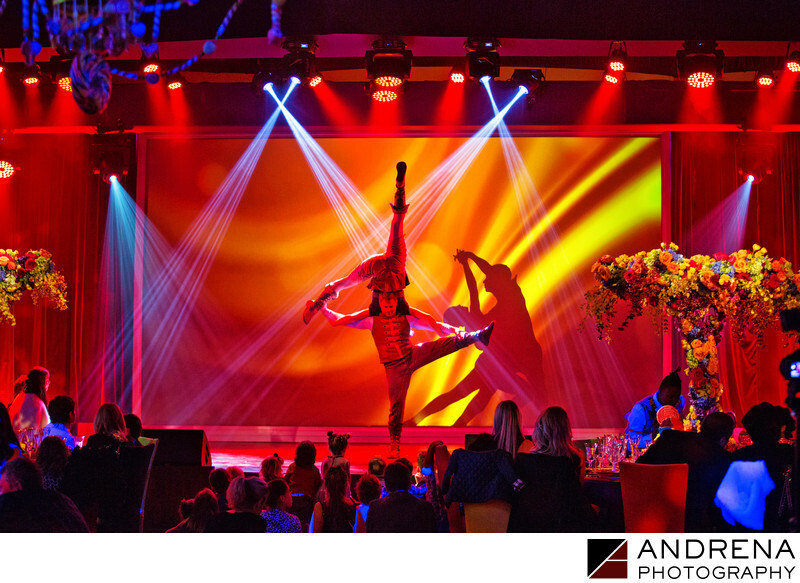 for this acrobatic performance, a lighting palette of orange, red and yellow was used for the main, with pops of blue. The color psychology behind this combination is designed to energize and keep focus. Plus, the vibrancy of this color scheme helped this image look fantastic.